The central location of this two bedroom apartment, sleeping up to three people, in Barcelona means access to the city’s main attractions couldn’t be easier, just a short walk from Plaça Catalunya, La Rambla and Gaudí’s Casa Batlló and Casa Milà on Passeig de Gràcia. The cosy apartment has a living and dining area with large TV, sofa and dining table to enjoy home-cooked meals with friends or family. The apartment boasts contemporary furnishings and a small balcony off the dining area where you can sit to enjoy an evening drink or morning coffee. The main bedroom offers plenty of storage from a large mirrored wardrobe and chest of drawers unit, and also benefits from plenty of natural light. The single room also offers plenty of storage space as well as a desk, ideal for studying, working or using the internet. The kitchen contains all the necessary amenities for a comfortable stay, including a toaster, microwave, kettle and coffee maker. The apartment also contains a washing machine, iron and ironing board. 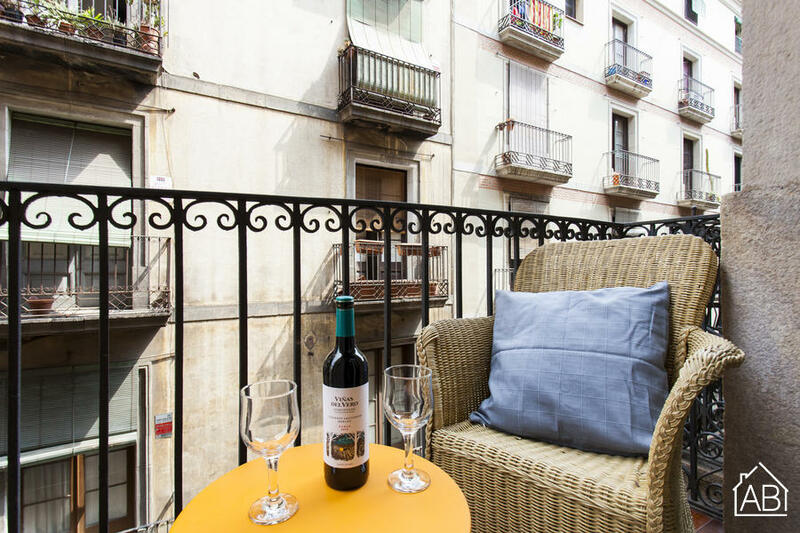 With an impressive location in the heart of Barcelona, this is an ideal apartment for your stay in the Catalan capital.